What is smart urban space like? When we say that someone is smart, we often mean that the person is sharp-minded, a good communicator and also skillful in economic matters. But what is a smart city like? It seems as though such a city is evolving from a vision to a daily occurrence, as well as becoming more energy-efficient and skilful in communication. One outstanding proof of this can be found with smart LED street lights, which can already be found in several cities. The street lights have been sharpened up with Plug&Play smart controllers. These controllers are able to communicate to one another through the mesh network, they can switch lights on and off based on time of day or daylight and dim the lights based on human density or traffic flow. Moreover, the controllers work even if radio communication is not operational. The control cabinets of street lights have become just as smart. The entire system is monitored and controlled with intuitive cloud-based software. This kind of system results in unbelievable energy savings – up to 80% reduction in electricity costs, up to 70% decrease in maintenance costs, less CO2 emissions, less light pollution and longer lifetime of a luminaire. 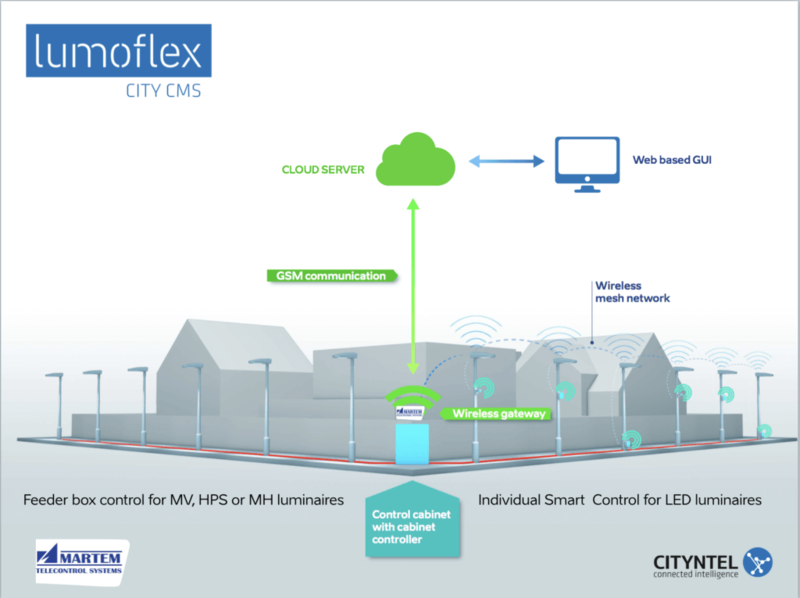 Once the street lights have been installed and the local mesh network is established by the luminaire controllers, there are endless opportunities for how to use the system. For example, it is easy to add various sensors (e.g. air quality, traffic flow, road surface) to the network. As the cost of data transmission is very low in a network of this kind, sensors can be installed at high density. Data collected by the sensors shall be stored in the cloud, from where it can be accessed by different applications, scientists for their research, local governments for analysis and decision-making, or citizens who just want to keep an eye on the quality of the environment they live in. A pilot network, created in the framework of the SmartEnCity project is currently in development and will begin work by the end of 2017, in Tartu, Estonia. 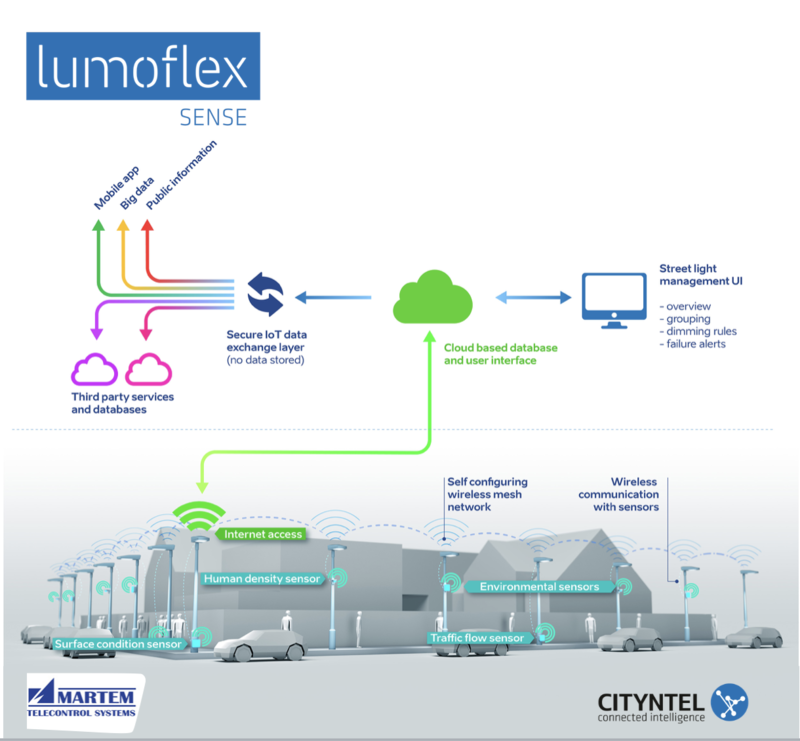 However, if you will not be able to visit Tartu any time soon, you can learn more about these smart street lights at the Mindtrek fair hall, stand No. 10.